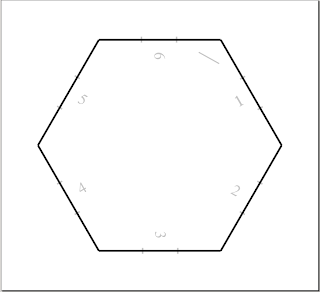 Here is a template for a hexagonal geomorph. It isn't anything you couldn't do by hand if you followed my last post. But maybe it will save you some time. These are 6" face-to-face and I've marked the middle inch on each side. I also put numbers on the faces for your randomizing needs. and a little line to label each tiles with letter/number. And then I had to go through 400 hundred contortions to find the file type/printing options that maintained my images size, bizarre. My printer refused to even print a PDF made with LibreOffice. And it looks like something I or Inkscape is doing in non-standard in the svg because Firefox renders the numbers in the wrong locations. Anyway, I'm hoping this PDF made directly from Inkscape will work out for y'all. If you have problems let me know. Outdoor Geomorphs are what these were made for ... 5 subhexes to a hex. I've mostly been focusing on closer scales for solo exploration, but it true you could generate terrain with these and form meandering but related countrysides. I'll make a post. Hmm link isn't working (and I'm not talking about he who usually saves Hyrule - he never works the way I want him to!). Whoops, I misspelled the damn file name. That's a little discouraging, 28 page views and you were the first to try the link. 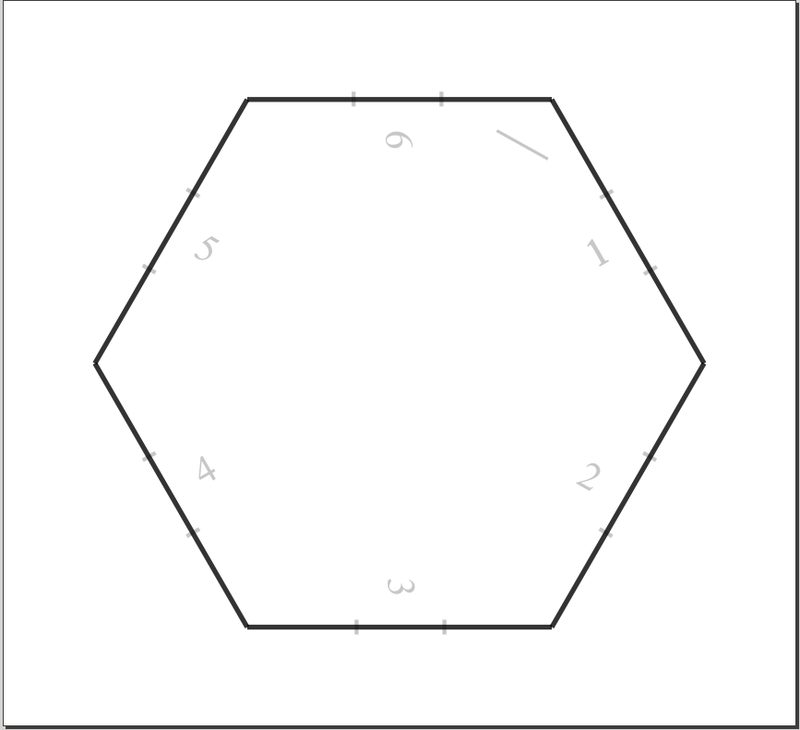 By the way, did you do the hex by aligning six separated lines (it looks like their slightly overlapping in the PDF)? If you use the "Create star"-tool in Incscape (just below the circle in the toolbox), you can easily do hex by specifying 6 corners (and holding CTRL will snap it to the right angles). You may have to change the join from "bevel" to "miter" (in the Fill and Stroke-window) to get sharp edges. Thanks a bunch, Jensan. I actually have used the star tool and for some reason was unable to get it to make a regular hex this time. I mean if you rotated it through 60 degrees it wobbled like a flat tire. So the hex above is actually one I found on Wikimedia that was more regular (it still wasn't perfect). Very frustrating, but maybe I need to understand snapping to the guides better or something.